Polyaniline (PANI) represents itself a class of polymers having ionic and electronic conductivities. The polymer has wide application as chemical modifier of electrodes for voltammetry. Electrochemical polymerization of aniline includes in itself some oxidation/reduction stages of electroactive groups. In the result of this process, polyaniline structures of different contents are formed. The qualitative and quantitative contents of polymer film and its area and morphology during the polymerization process play an important role in electroconductivity and response of the final synthesis product on analyte. 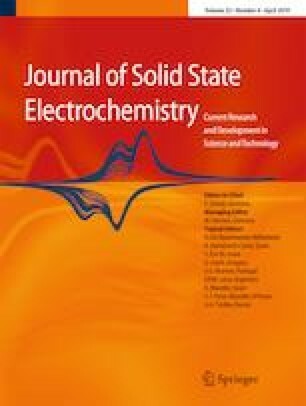 We demonstrate a possibility of quantitative description of the polyaniline electrochemical polymerization process in the frame of percolation model covering wide temporal range (100–500 reduction/oxidation cycles). We can evaluate the basic parameters (number of percolation channels and fractal dimensions with respect to the applied potential) characterizing the quality of electrode polymer cover. The microphotos obtained with the help of the high-resolution scanning electron microscope support the obtained results independently. This work was supported by the Russian Foundation Basic Research Project № 17-43-020232 r-Povolzh’ye-а.